A good start to the day is as important for pupils with sensory needs as anyone else, but a lap of the circuit will only scratch the surface. When at an impasse with work, has time away from your desk ever allowed you to return reinvigorated with new ideas? Has running or swimming ever helped you concentrate? At some point in their lives, most neurotypical people will find that a change of scenery or a different activity will help in finding a new solution to a problem. Now consider your morning routine. Are you woken up by an alarm clock or a strong coffee? Do you start your day with a modest breakfast or a few stretches? Again, we all benefit from having our senses invigorated at the beginning of the day – it prepares us to focus on the tasks ahead. Similar logic has inspired the introduction of sensory circuits, a series of physical activities designed to stimulate the senses pupils need throughout the school day. Staff can organise circuits in the morning, at lunch and at break times, using a selection of materials and equipment. True enough, sensory circuits are a good start to the day for all pupils. But there are risks to assuming that they are reliable as provision for pupils with sensory SEND. Many of the teachers I’ve spoken to have reported a rise of sensory needs in their classrooms. Opinions remain divided on the actual prevalence of these needs but, for better or worse more pupils are being labelled with sensory difficulties. Are we just more aware of conditions and processing difficulties? Is it just a phase? There are demonstrable physiological differences in the brains of children with sensory processing disorders (SPD). Schools should differentiate their provision for pupils with SPD and pupils with other sensory processing difficulties, no matter how similarly they present. Sensory circuits will give pupils with SPD the opportunity to practise their sensory skills before entering the classroom, but it has no weight as a ‘temporary fix’ for SPD itself. Let us imagine a pupil for whom the auditory world is a confusing place. Their brain creates an echo of sound that resonates in their head. In the classroom, even the quietest sounds layer one on top of each other and distort the sound of the teacher’s voice. But in a sensory circuit, the bells alert their auditory systems. The predictability of these sounds, occurring at the same point in the circuit each time, allow pupils to become familiar with the auditory environment – homing in on the first sounds they here and filtering out the others. While this will help them disentangle the sounds of the classroom, it will not fix the difficulties they have in processing (as written instructions would, for example). For a pupil whose visual information is overstimulating, the busy classroom environment - with all its decorated wall displays - can be too much to handle. But while the setting of clear bright objects against the grey playground tarmac provides an easy contrast, circuits do not take visual difficulties out of the classroom. Pupils need a plain workstation, the opportunity to talk about what they are doing and to be able to record their work in a way that doesn’t rely on their visual processing skills. No matter how well these pupils engage with the circuit, both would become overwhelmed in the classroom environment. Could teachers just send them out for another go at the circuit? A much-needed break perhaps, but a loss of teaching time and in many ways the antithesis to inclusion. The priority should be to find classroom-based strategies that will enable pupils with sensory needs to access the same curriculum for the same length of time as their peers. For activities to include in the classroom or a sensory circuit, read Joanna's guide to developing continuous provision for sensory needs. For more insights into how your classroom might appear to a pupil with sensory processing disorder, visit Sensory Spectacle's 'The Sensory Classroom'. 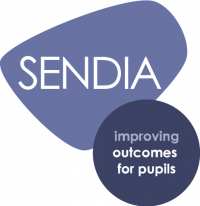 The SEND Inclusion Award provides a framework for recognising outstanding SEND provision in schools, and identifying areas that have high or little impact on your pupils' outcomes.